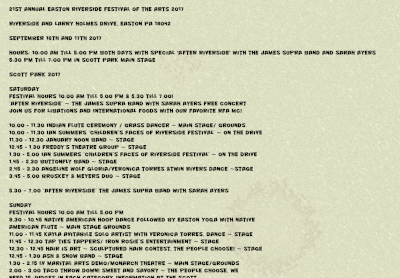 Easton, PA July 7, 2017 – The Riverside Festival of the Arts is welcoming new events for its 21st edition on September 16 – 17, 2017 from 10 a.m. until 5 p.m. at Riverside and Scott parks in Easton. In addition to the work of more than 70 artisans running the gamut from fine art, fine craft, plein air art, pastel drawings, ceramics, blown glass, to woodworking, the event will also be incorporating new and fun artistic events sure to attract visitors of all ages and persuasions. Stilt Walkers throughout both parks with Circus Workshop on Sunday! Natural Henna Tattoos in both parks. Healing Arts area focusing Special needs Just Mean Special People workshop areas supplied by Crayola all weekend! The free, ungated event also features music, dance, theatre, food trucks, art contests, kids events, and the backdrop of the iconic Easton waterfront. 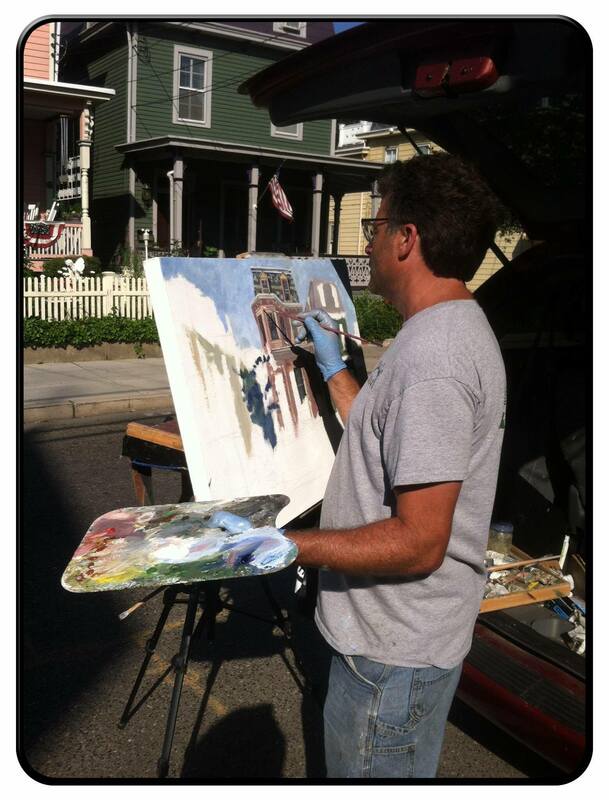 Our mission is to encourage and promote the arts of all disciplines, to foster an appreciation of the arts, and to enrich the quality of life of the Easton area by providing arts education opportunities and community programming. 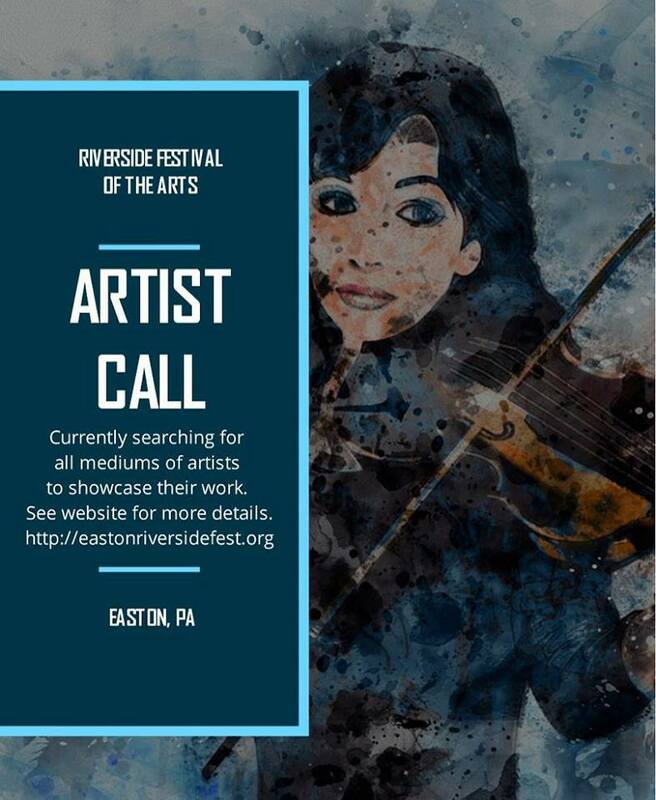 Riverside Festival of the Arts (RFA) is a function of the Arts Community of Easton, Inc. (ACE) a 501(c)(3) exempt organization dependent upon benefactors from the community, public support and membership to ensure its ability to continue to provide an outstanding celebration of the arts. For more information, visit www.eastonriversidefest.org. Previous post Hair As Art! Next post TAco ThRoW DoWn!